Side Orders, Kid's Menu, Desserts, Beverages. We thank you for visiting our brand new website featuring special coupons, printable takeout and catering menu, photos of our food as well as our newly renovated dining room in our new Brick Location. 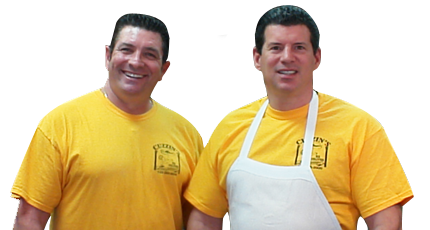 At Cuzzin's, we feature on the finest ingredients in all our sauces, pizza, subs, salads and entree's....all at a price that everyone can afford. We are proud of both our locations, food and staff. Please enjoy the website and stop in to see that we take pride in what we do. - " Mangia Mangia "